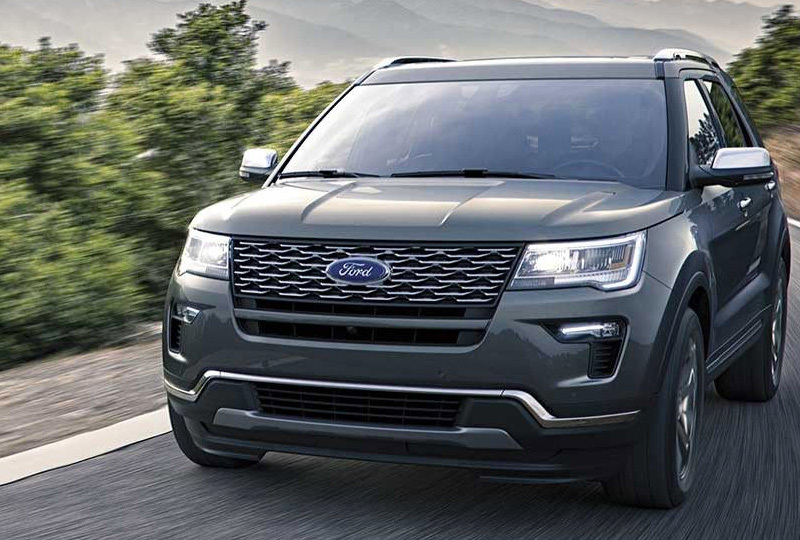 The 2019 Ford Explorer from Lake Keowee Ford in Seneca, SC - serving Anderson, Clemson, Pickens, Easley and Greenville, SC, and Lavonia, GA - brings functionality, convenience, and style to get around town. The 3.5L EcoBoost® V6 engine with 365 horsepower paired with available intelligent all-wheel-drive system and an optional Terrain Management SystemTM means you'll never be lacking in power or ease of handling - no matter what kind of weather you face. 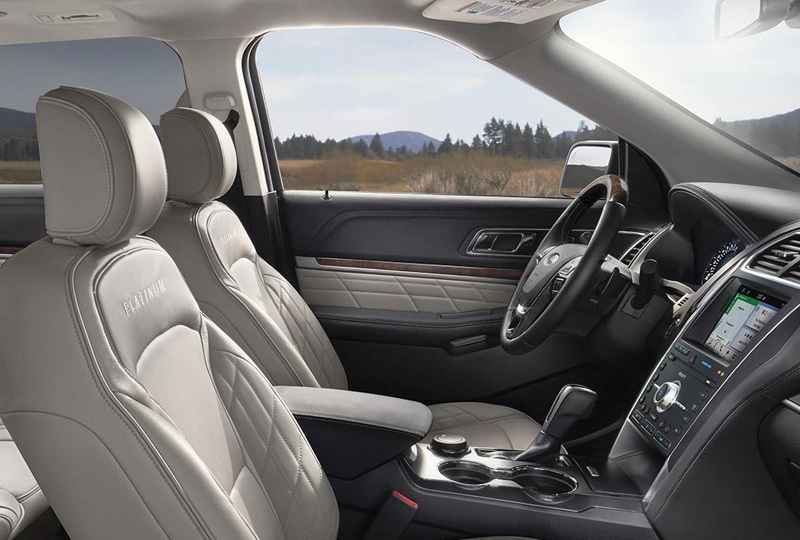 Rain or shine, you are sure to be comfortable with manual single-zone climate control and standard cloth-trimmed seats. Boredom is impossible here. The optional Wi-Fi® hotspot and available SYNC® infotainment system will keep up to seven passengers busy the entire ride. But maybe you have a load to haul and prefer to ride alone this time? Between the 50/50-split folding third-row bench seat, 60/40-split folding second-row bench seat, and cargo hooks, you won't have any trouble fitting everything you need inside and making sure it's secure for the next road trip. Even if you're just heading out to run errands, the rear vision camera and Automatic LED low-beam headlamps and LED taillamps will ensure your drive is safe. This vehicle will always look good as well. Black exterior door handles, lower front and rear bumpers, and dual-chrome exhaust tips pair together beautifully. Today is the perfect day to buy a new Ford! We have a great lineup of 2019 models and plenty of financing options to make sure you get the best deal. Take your test drive with Lake Keowee Ford when you visit us at 859 By-Pass 123, Seneca, SC. What do we mean by capable? Spacious seating, excellent cargo room, available roofrack side rails and impressive towing to take you wherever and whenever adventure calls. Explorer also has available features like the hands-free, foot-activated liftgate, Intelligent 4WD with Terrain Management System,TM Hill Descent ControlTM and 180-degree camera with split-view and washer. 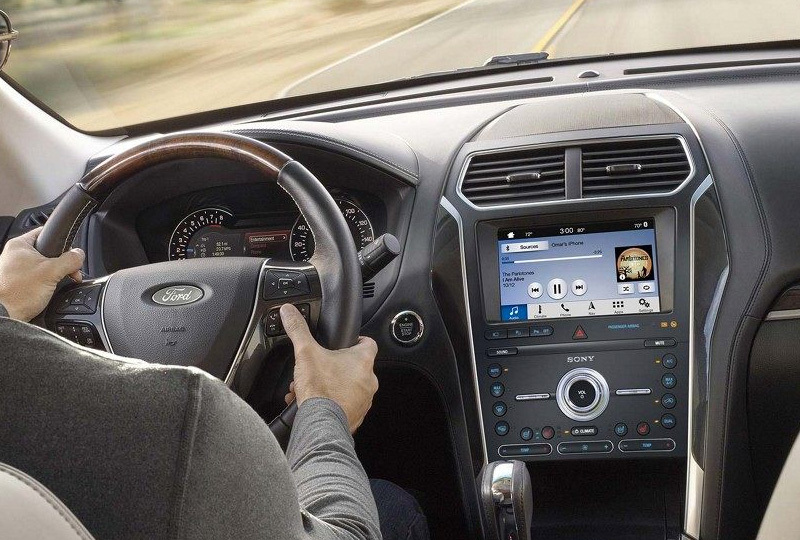 The available Ford Safe & SmartTM Package has features that do everything from alerting you to unintentional lane drifting to allowing you to set cruise control and select the speed and distance you want to maintain from the vehicle in front of you. 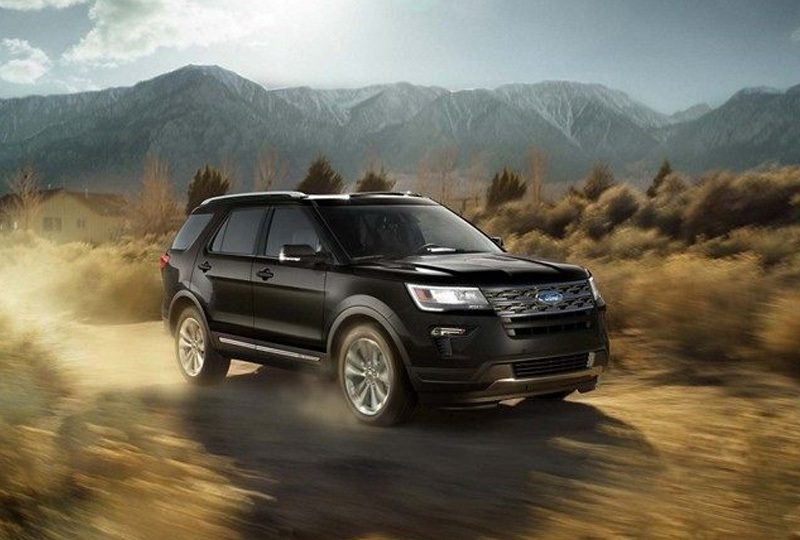 It can alert you to a potential collision with the vehicle ahead.1 Explorer can also help keep you connected from almost anywhere with available SYNC® as well as available FordPassTM Connect. 2. Classes are: Small Hybrid Vehicles (C-MAX Hybrid); Subcompact Cars (Fiesta); High-Performance Subcompact Cars (Fiesta ST); Small Sedans and Hatchbacks (Focus); High-Performance Small Cars (Focus ST); Small Electric Vehicles (Focus Electric); Midsize Sedans (Fusion); Midsize Hybrid Sedans (Fusion Hybrid); Midsize Plug-in Hybrid Sedans (Fusion Energi); Full-Size Sedans (Taurus); 300+ HP Sports Cars (Mustang); Small Utilities (Escape); Midsize Utilities (Edge); Large Utilities (Flex and Explorer); Extended Utilities (Expedition); Full-Size Pickups under 8,500 lbs. GVWR, Non-Hybrid (F-150); Full-Size Pickups over 8,500 lbs. GVWR (Super Duty); Full-Size Vans (Transit/E-Series); Small Cargo Vans (Transit Connect); 6-7 Classic Conventional Cabs (Medium Duty) based on Ford segmentation. 3. Horsepower and torque ratings achieved with 93-octane fuel.